I'm sorry, but Ed's pose does not look natural at all. Fullmetal Alchemist: Brotherhood. By far, much more superior than original flavor Fullmetal Alchemist. The series touches on so many subjects, like faith vs. science, how far someone can go to prove their worth, trust, and many more subjects. My dislikes of the first series were blown away and I just enjoyed the wild ride that this series offers. I can't say I was 100% satisfied with everything, but it was a nice, solid show all around and I see why it garners so much respect. I probably won't put it in my top five, but it might be put in my top ten. Time to re-evaluate my series! How about you? What good things did the past week give you? 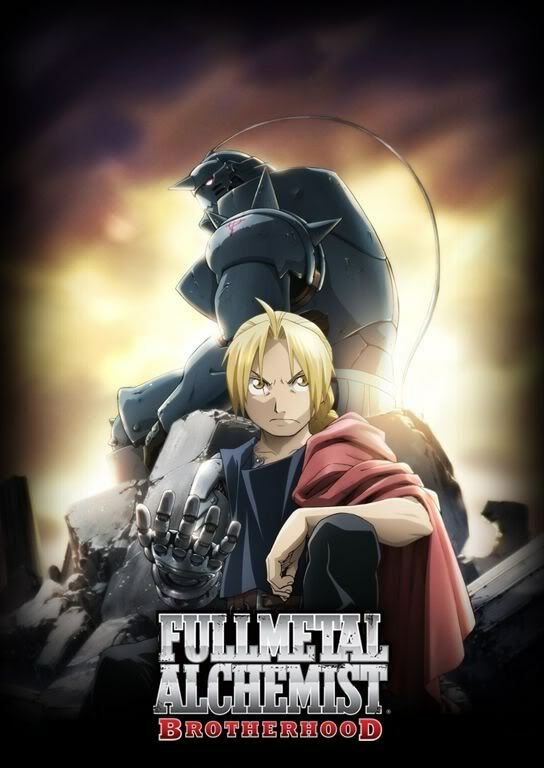 What do you think of Fullmetal Alchemist: Brotherhood?